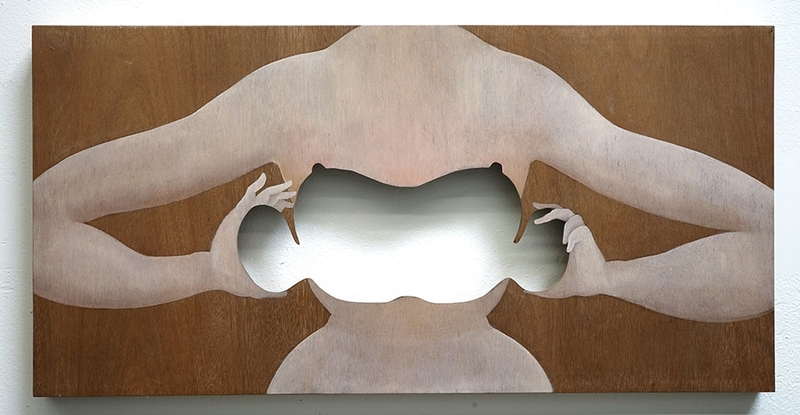 Los Angeles-based artist Hayv Kahraman (b. 1981; Baghdad, Iraq) explores themes of identity, memory, gender, and exile across paintings and sculptures that present and re-present the “colonized” female figure. She weaves, tears, patches, and reworks materials to create exquisite artworks that nod to a breadth of artistic traditions found in Europe and Asia, creating a dialogue between ideas of “East” and “West,” while questioning concepts of agency and corporeality. Superfluous Bodies will run concurrently with a sister exhibition of new work by Kahraman entitled To the Land of the Waqwaq, inspired by—and on display at—the Shangri La Museum of Islamic Art, Culture & Design.